For thousands of years, the first settlers of Orchard Lake were Native Americans. Many natives lived in the now-called areas of West Bloomfield, Pontiac, and Orchard Lake. Orchard Lake possesses a very small island, referred to as Apple Island, which received its name due to the abundance of apple trees. 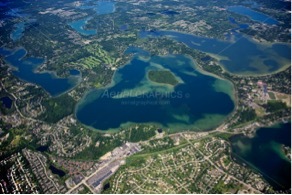 The island has many other names, such as “Me-nah-su-gor-ning” in the native tongue, which translates to “the place of orchard.” James Galloway purchased the island along with the surrounding land on June 18, 1827, earning the town its right to be a city referred to as West Bloomfield. After a democratic vote on March 19, 1928, Orchard Lake became a village following its separation from West Bloomfield. Later, in 1984, the village of Orchard Lake became known as the city of Orchard Lake Village.